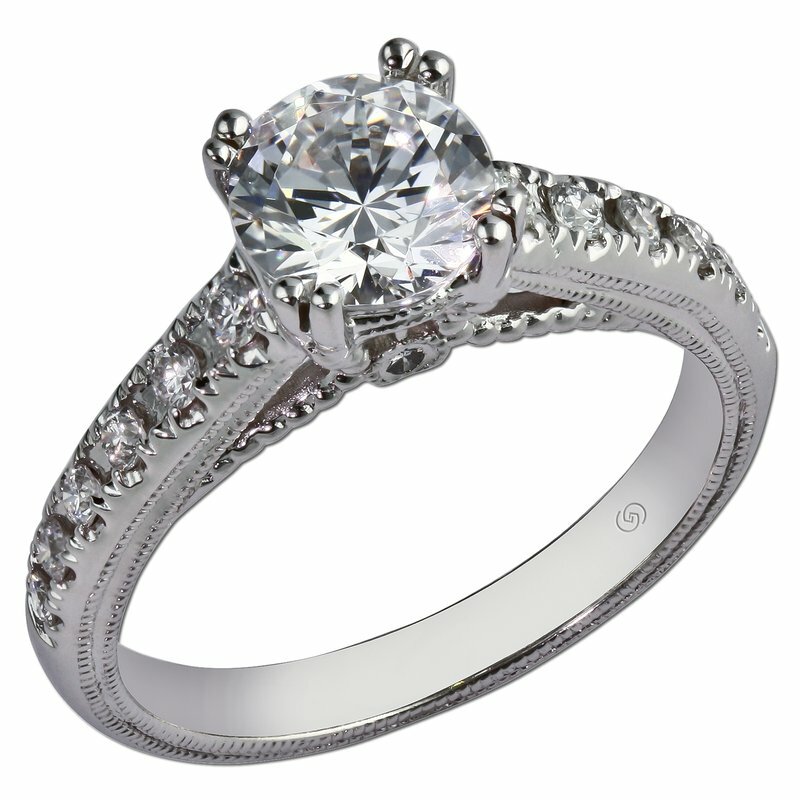 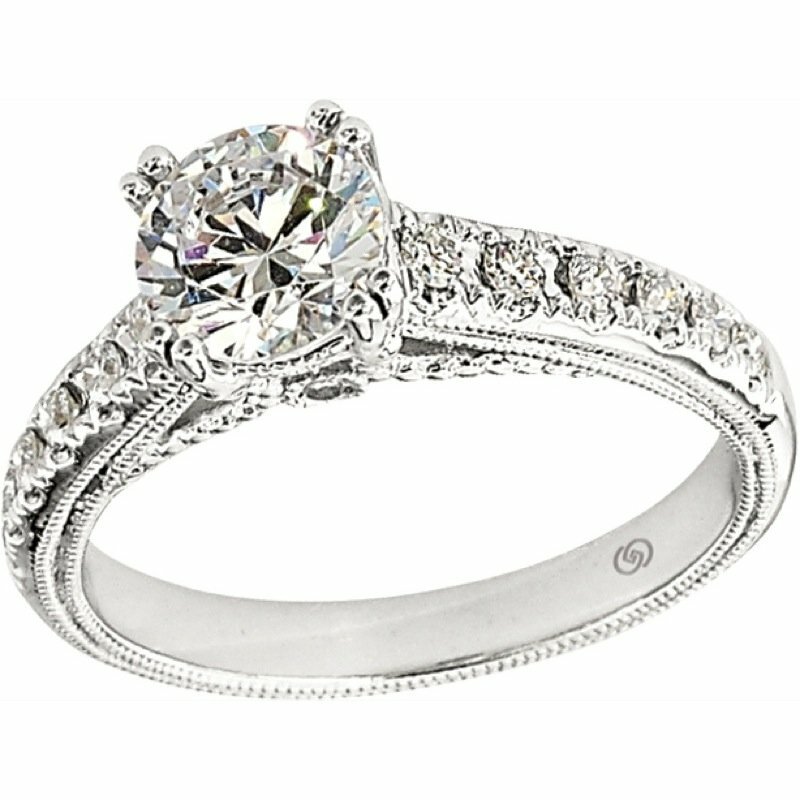 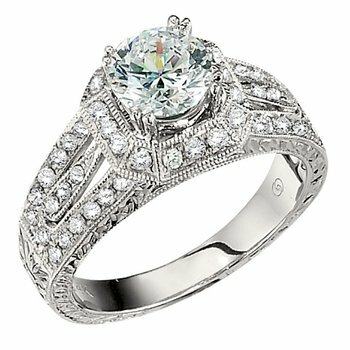 Gorgeous vintage inspired engagement setting has diamonds split prong set along the cathedral shoulders, meeting a split prong head, with beautiful scrollwork in the gallery, lined with intricate beadwork. 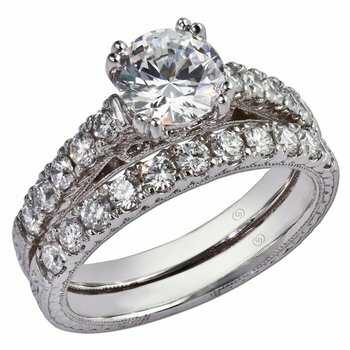 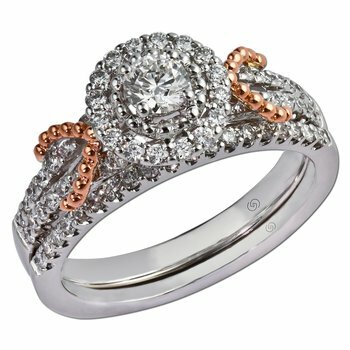 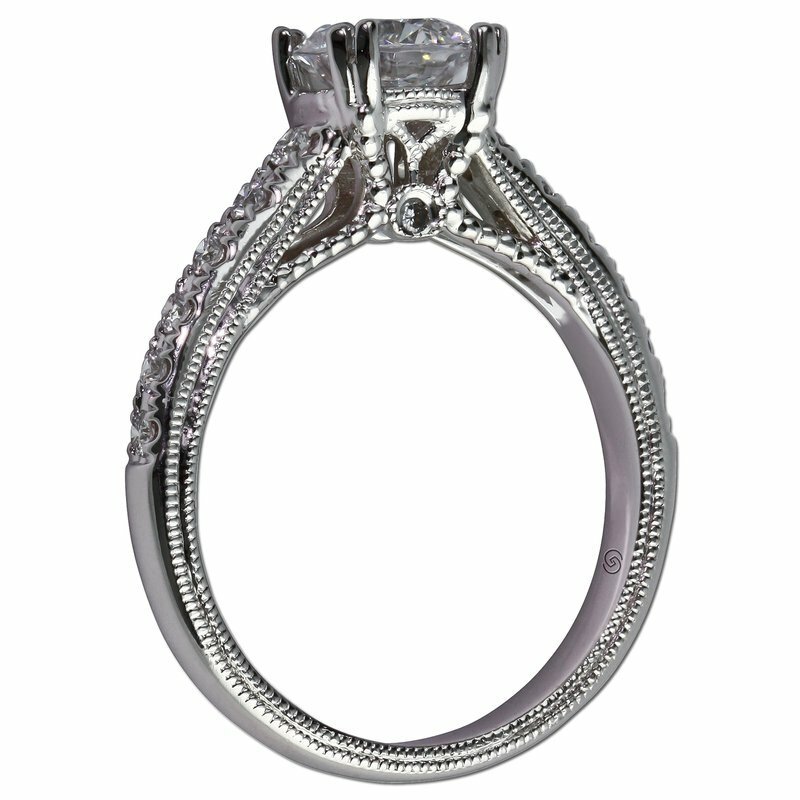 A peek a boo diamond beneath either side of the head adds a romantic touch. 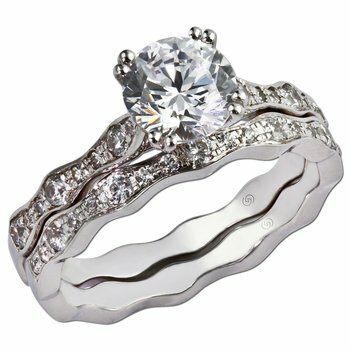 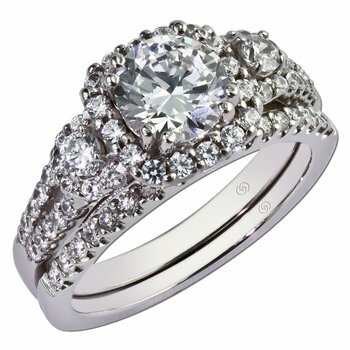 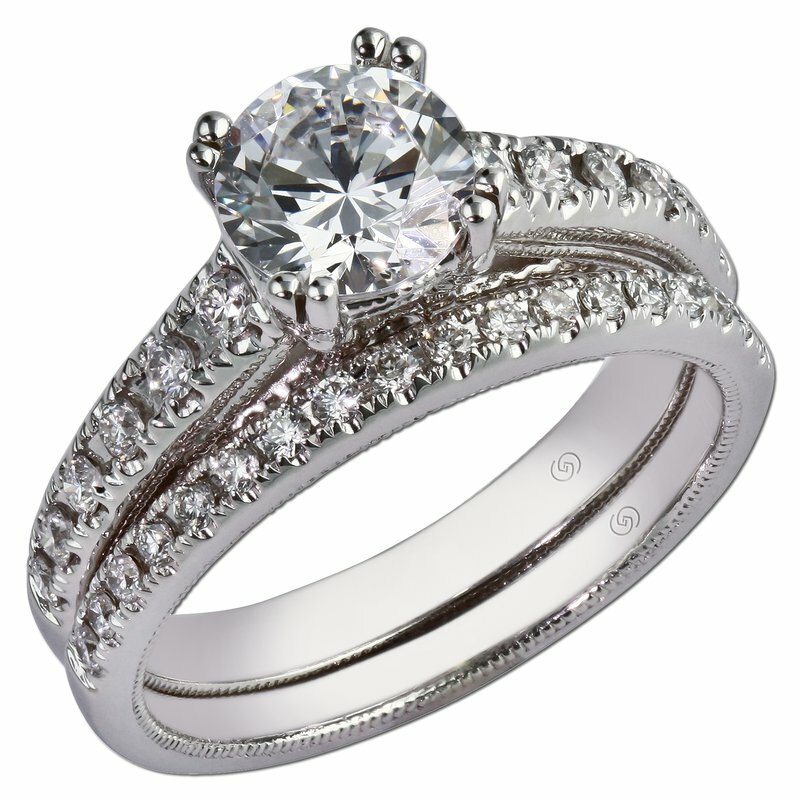 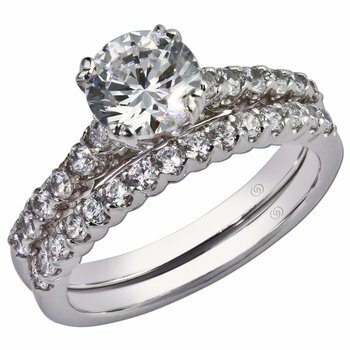 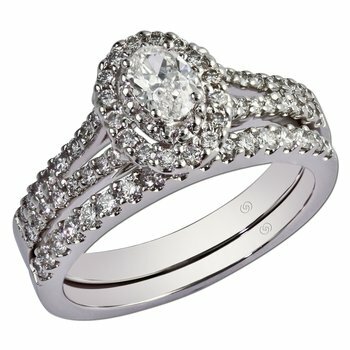 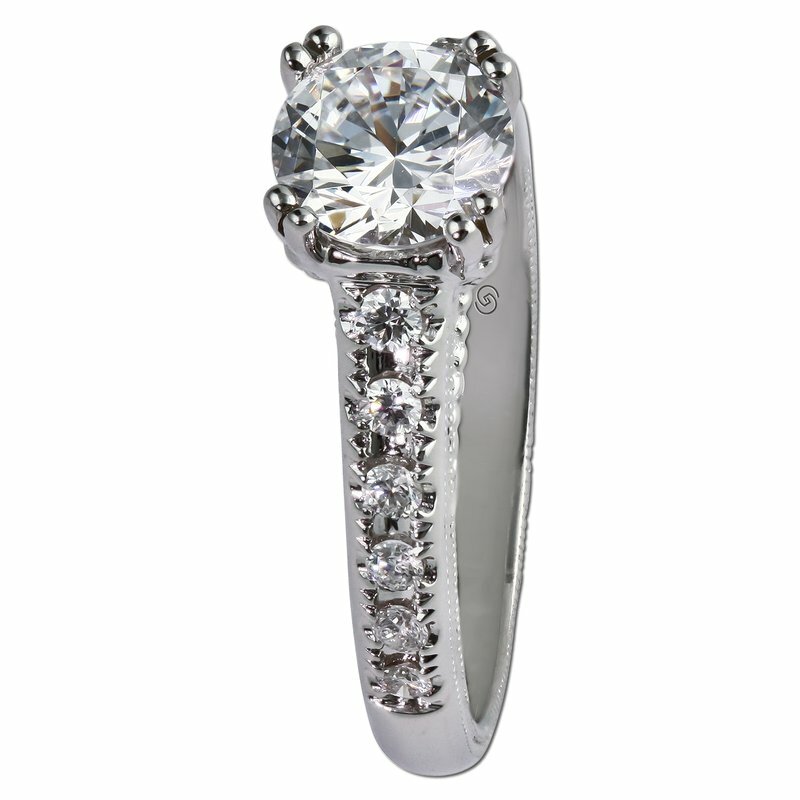 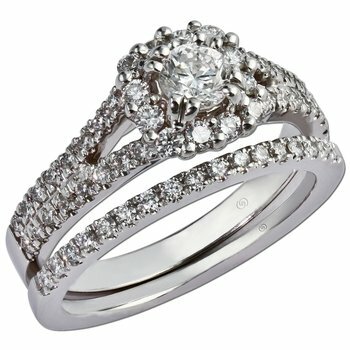 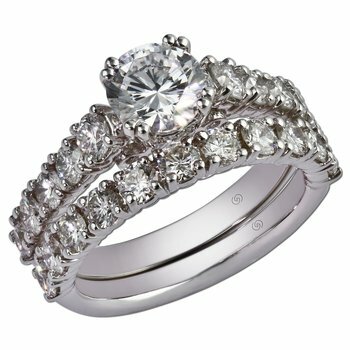 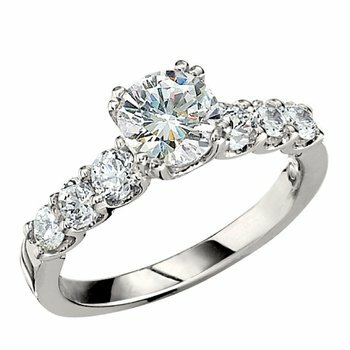 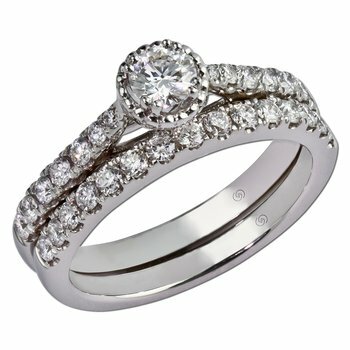 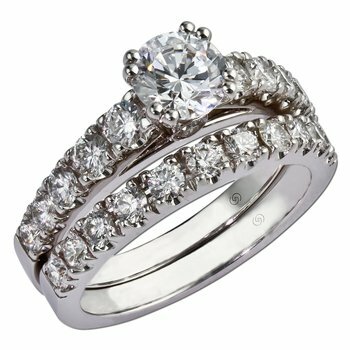 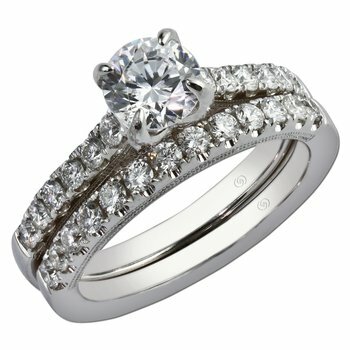 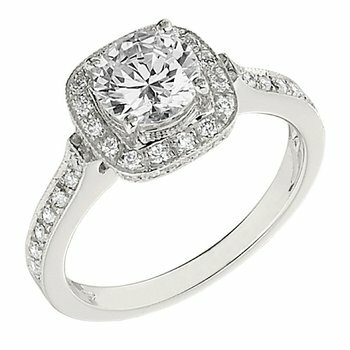 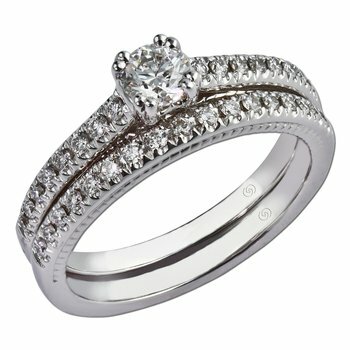 The wedding band is a row of sparkling diamonds set in split prongs, with a ropelike design encircling the finger, and lining up perfectly with the engagement ring.